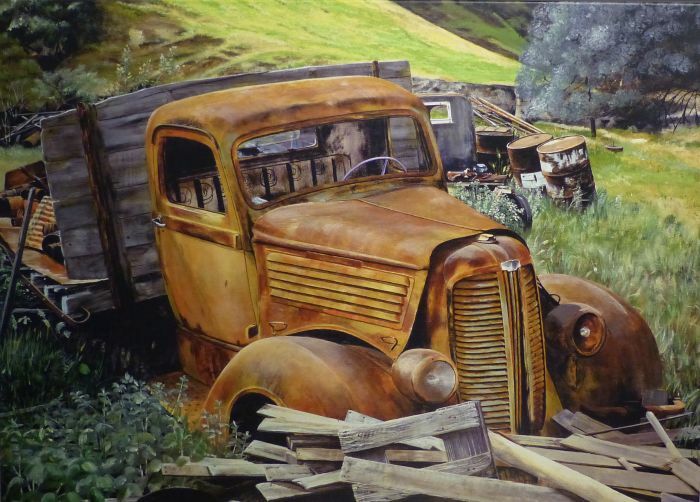 David Coax transforms his wonderful memories of living in Montana and seeing old rusting automotives parked lazily behind an old barn, onto canvas. Denise Collier met up with him at the Europe Art Fair in Rotterdam. 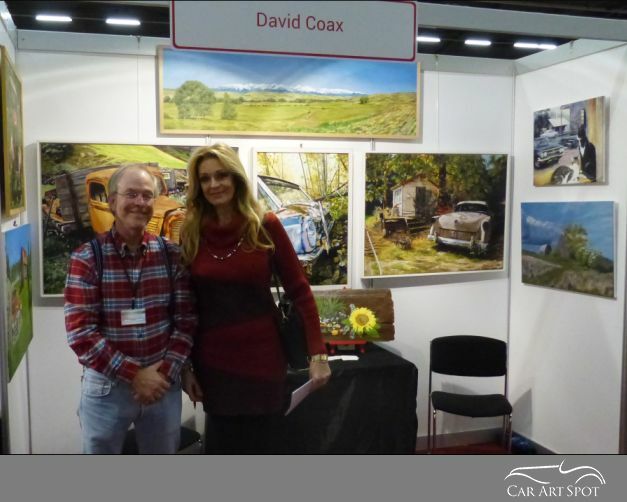 I was lucky enough to meet up with David Coax exhibiting some of his paintings at the Europe Art Fair in Rotterdam, Holland this weekend. Growing up in Montana, David moved to Germany for love, where he has now lived for the past years, together with his German born wife. Although David and his wife live in a lovely rural spot in Germany surrounded by trees and a lovely garden, his roots still lay in Montana and the longing is always there. He loves the mountains, the open space and the green but also enjoys the rural greeness of Europe. When David first moved to Germany, he missed Montana like crazy and couldn’t find any inspiration to paint something which hadn’t already been done before. 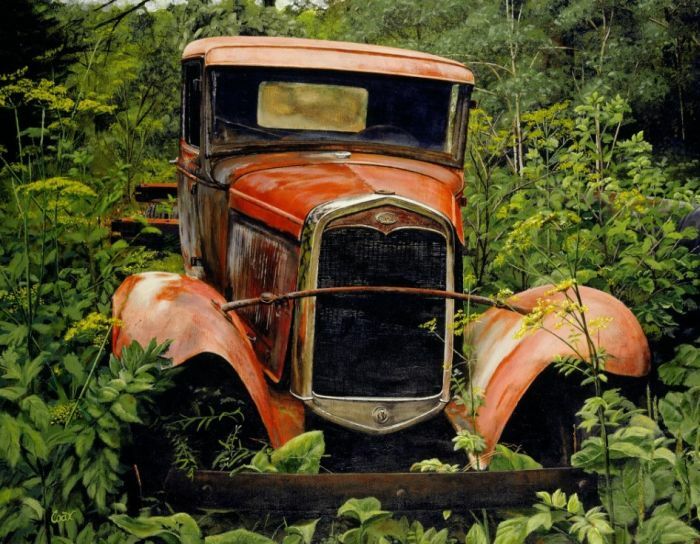 He suddenly had the idea to paint old American rusting cars. 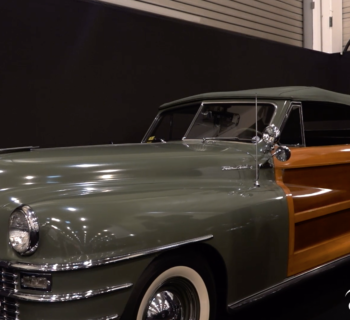 Growing up in Montana, David had been used to the sight of an old Chevy or Ford parked behind an old barn, beside a ranch or just standing somewhere in a wooded area, lazily sitting there rusting away. He had always been fascinated by these cars and had taken many photo’s through the years, which he had brought with him to Germany. 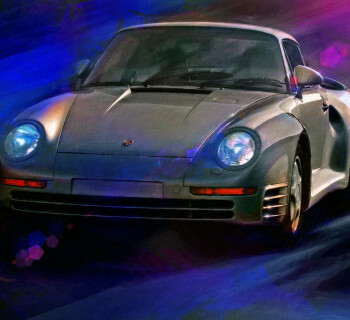 When David started painting these cars, it was pretty unique and he was one of the first. Painting them reminded him of home. With his paintings, David has always tried to draw the onlooker in, conjuring up a sense of romantic curiosity and longing, almost sensing the atmosphere in his paintings and teasing them to pose internal questions. What is that car doing there? Where has it been and who has been in it? Who drove it and what was life like back then? 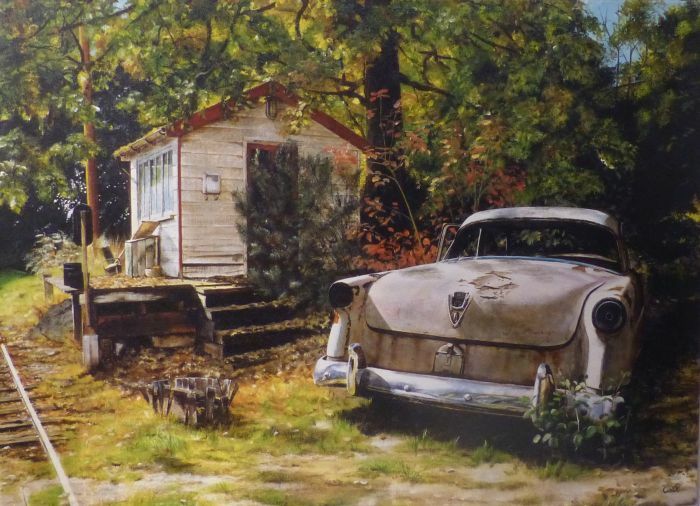 Looking at David’s paintings, so many questions come to mind about life in Montana and the old car standing there with a thousand stories to tell. David is a realist painter and his years of experience in Architectural drawing & drafting helped him a lot with perspective in his paintings. He loves using rustic colours which of course he needs for painting his cars and finds that painting in acrylics works best for him. Although David uses canvas, he often paints on wood and works from the back to the front of the painting, adding new depths, lighting and shading making the painting come alive, enhancing it’s own unique atmosphere. 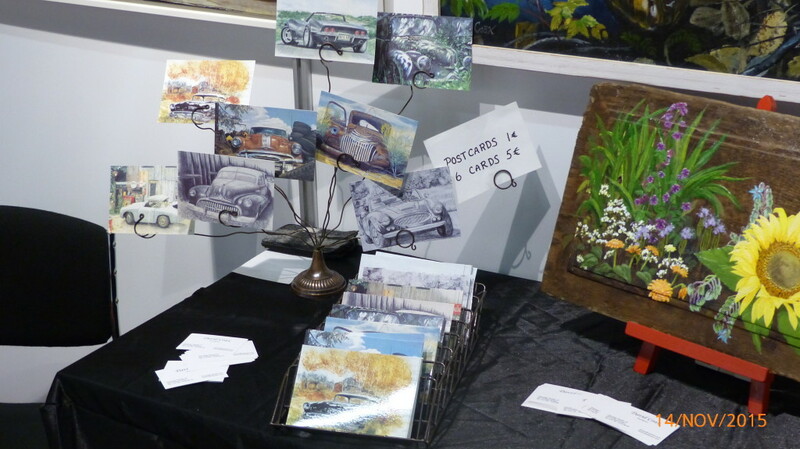 David also has a range of postcards and high quality prints of his work.